Better than new. 2015 new construction 3 bed w/large patio in sought after 8-Streets Neighborhood of the highly desirable South End. Designed by premier developer PEG Properties & built by noted builder Kennedy Design Build, this rare parlor/second & garden duplex offers luxurious finishes & perfect floor plan. 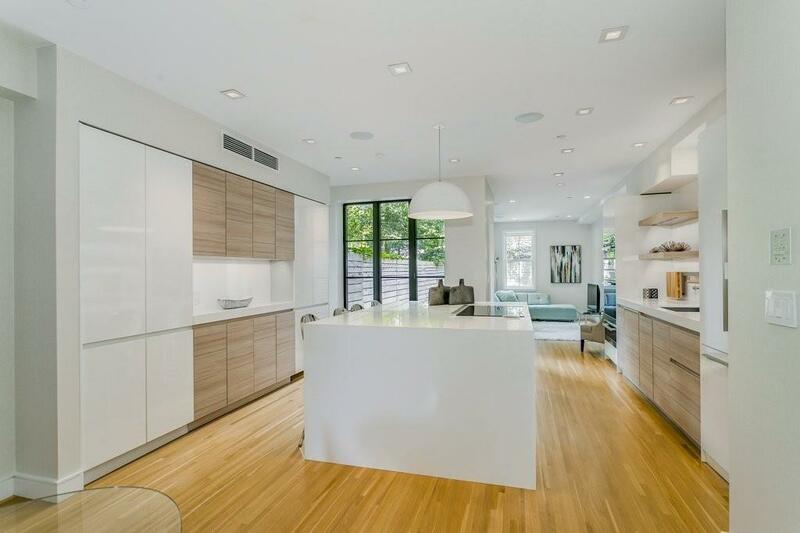 State of the art kitchen features LEICHT cabs, Miele steam/convection ovens/warming drawer, 36â Thermador fridge, Bosch induction cook top, U-line beverage center & large island w/white Caesarstone countertops & seating for 4. Kitchen opens to spacious living/dining w/fireplace + bonus family room. Over-sized professionally landscaped private patio with gas, water & electricity is located off kitchen, perfect for grilling, relaxing or entertaining. Master suite features king-sized bed wall, two large windows, spa-like bathroom with double sink vanity, heated floors & walk-in closet. 3 bedroom homes at this price point don't come along too often so don't miss this opportunity.